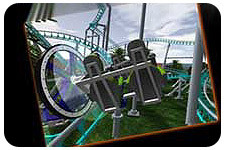 We have developed a simulation that you can download to get a 3D perspective of what the UniCoaster rollercoaster is all about. 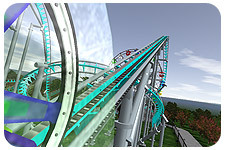 Remember: You can see accelerations and g-loads at the top of the screen while the demo is running. UniCoaster™ is a product of Patent Lab, LLC. All Rights Reserved. Copyright © 2006 Patent Lab LLC.